Wine of the Week 29 – my bargain red of the year? Whilst struggling with what to serve the thirsty masses at Christmas I have been considering all sorts of wines at prices varying from the highish to the high, when I was given this wine to try. It strikes me as excellent red that a lot of people would enjoy and yet it hardly breaks the bank, so will enable me to to relax if I have to open yet another bottle. The bodega in 1997, I loved the lettering going over the roller door! This building is now a museum. 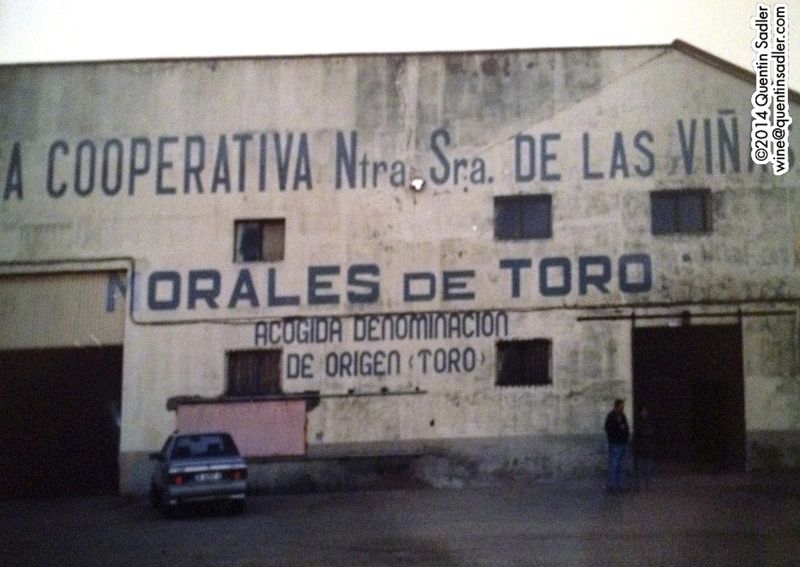 Nowadays this bodega is part of the dynamic multi-regional producer Felix Solis / Pagos del Rey, but I visited it nearly twenty years ago when it was the local cooperative cellars of Morales de Toro, a small town outside Toro itself. They made – and continue to make – the splendid Bajoz wines and their cheaper Moralinos de Toro was for a long time the house red of Winetrack, my wine company. It was an amazing place to visit, slightly grubby and messy in a way that just would not happen today – that old winery is now a wine museum in fact. They shared a forecourt with a café too, but the wines they produced – and continue to produce – were astonishing for the money. 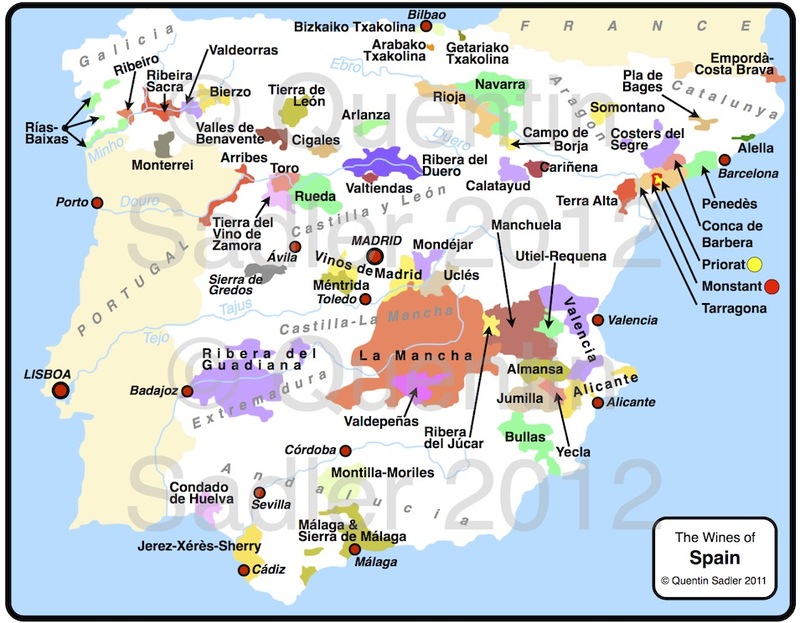 They have got even better over the years and deserve to be more popular than they are, as does Toro as a region. Toro’s Roman Bridge from the town. 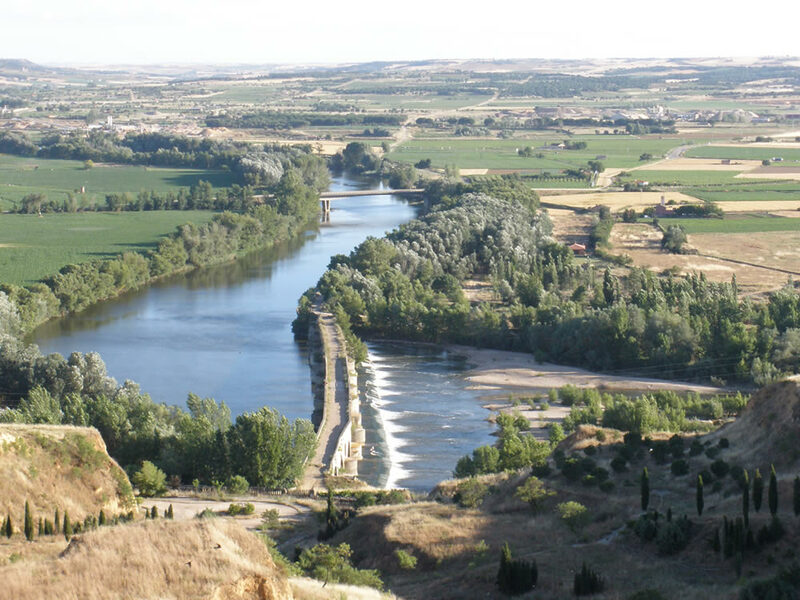 Toro town is a very attractive place on a cliff overlooking the Duero River. The town is dominated by the Collegiate church of Santa María la Mayor and one of the famous features is the Roman Bridge across the river. I was thrilled when I was last there to look out of my hotel window, which was quite high up and to see a stork flying along below me. This wine is a Crianza, which means it has been aged in oak either a barrel – 225/228 litres or something bigger – for at least 6 months. This wine claims to have been aged in new American and French oak barrels and the garnet colour shows the oak influence, as does the vanilla and spice aroma. The nose is slightly funky too with rich, brambly fruit for sure, but also a wild, earthy, mushroomy character, this is certainly because of brett, which normally I don’t like at all, but in this instance the sweaty, animal character sort of suits it, like it does with Château Musar or a lot of Châteuneuf-du-Pape. The palate is rich, rounded and even a little creamy, with spices and chocolate as well as, ripe juicy plum, black cherry and blackberry fruit. The tannins are very well managed, being smooth and supple and there’s some freshness too, making the wine very drinkable indeed. What’s more, there is nothing bland about it, it might not be the most complex wine in the world, but it is full of character – 86/100 points – I have awarded it high marks for value. Available in the UK from Lidl £5.49 per bottle – possibly the bargain of the year! With quality like this coming through at such a good price, we are going to have to get used to wines from Lidl being taken a bit more seriously than they were in the past, just like we are with Aldi who also offer some excellent wines at great prices. So, if Spanish wine to you is only Rioja, then do try this. The country has so much more to offer than most people realise, as the whole country is covered in fascinating wine regions that deserve wider appreciation.